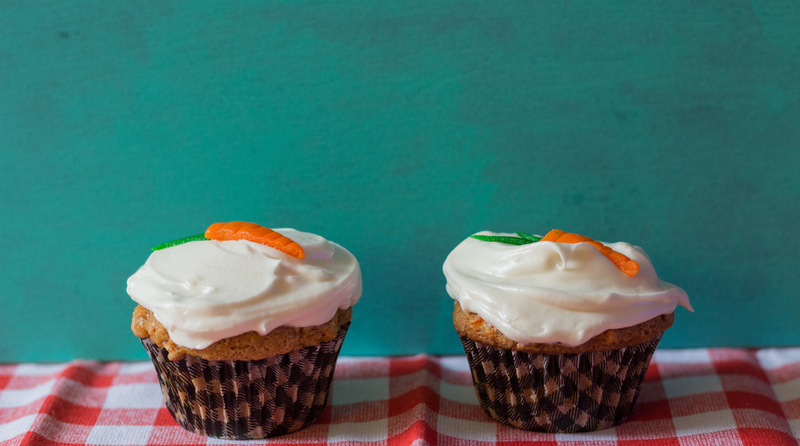 FOODJAMS: CARROT CAKE CUPCAKES — Mel bakes things. If we were playing Scattergories, which happens to be a favorite board game of mine, "carrot cake cupcakes" would earn me three points. Alliterations! If you make these cupcakes, you'll probably earn 1,000 points, because they are totally delicious. Carrot cake might seem like a weird thing to make during the summer. It probably is, with it's spiced cake-ness and cream cheesy frosting. It really feels like it should hit the stage during late summer/early fall, when spiced cake things are all the rage. Or maybe it should be the star of your Easter feast, if you have one. Carrot cake during the summer is a little unexpected. Maybe that just makes it even more awesome. The real reason I chose to make carrot cake for you is because Brandon and I are doing a little collaboration series. You see, Brandon regularly writes about music on his blog, and mine is obviously food-centric, and we thought it might be fun to work on a project together. We found songs that mention food; I'm focusing on the food part, and Brandon is focusing on the music part. FoodJams! 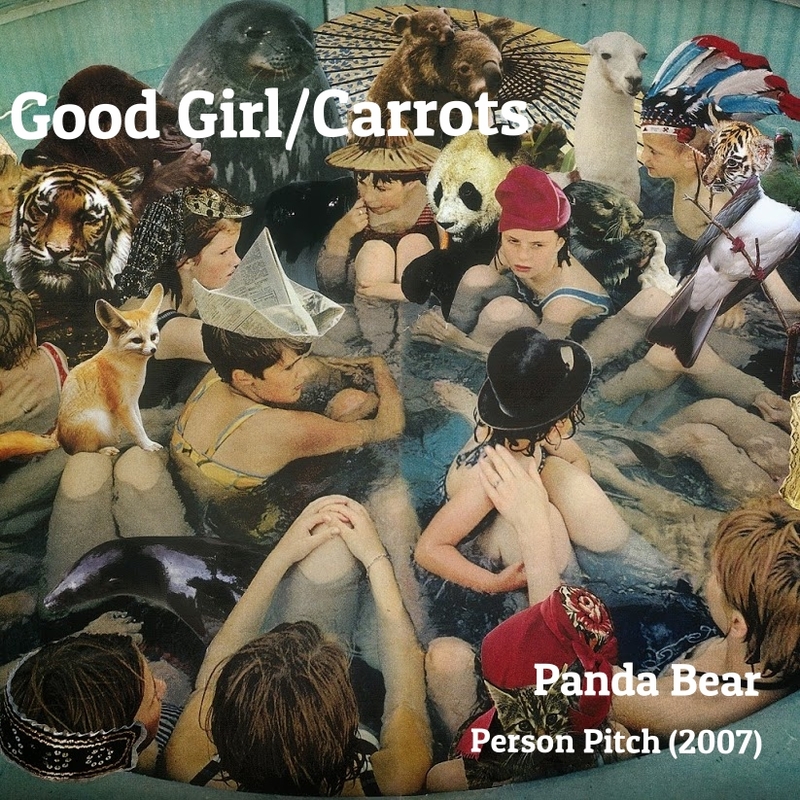 We tried not to pay much attention to the context of the food mentioned in the songs, but as a sidenote, have you ever noticed how frequently food is mentioned in music as a euphemism for other (usually unsavory) things? It's kind of hilarious. Also, gross. Click the album art above to get Brandon's take on the music, and have a listen! Now, for the cake: There is an entire pound of carrots in this recipe. That's basically so you can eat cake and justify it by saying you're eating vegetables. It's totally not a lie. The cake is less oily than your typical carrot cake (my biggest peeve with most carrot cakes is that they're too oily), nut free (!! ), and perfectly spiced. The cream cheese frosting is smooth and tangy, and acts as the perfect compliment to the texture and flavor of the cake. If you don't have or can't find mascarpone for your frosting, you can use the same amount of cream cheese instead. For the carrot decorations, I just kneaded some gel food coloring into a bit of marzipan and cut the shapes out with a sharp knife. If you have a teensy cookie cutter, that would work too. Recipe is below -- enjoy! Make sure your rack is in the center of your oven. Preheat your oven to 350F. Prepare your cupcake tins (either grease them, or use cupcake liners). In a medium bowl, whisk together the flour, baking powder, baking soda, spices and salt. Set aside. Using an electric hand mixer or your stand mixer, beat the eggs, brown sugar, and granulated sugar on medium speed until the mixture turns thick and creamy (about 2 minutes). Reduce the mixer speed to low, and add the oil, mixing until thoroughly combined (about 60 seconds). Add half the flour mixture to the batter, and mix in by hand (or at a very low speed with your hand/stand mixer). Repeat with the remaining flour mixture. Don’t overmix it! Gently stir in the carrots by hand. Pour the batter into your prepared cupcake pans. I find an ice cream scoop to be really helpful here. Each cup should be 2/3 to 3/4 full. Bake until a toothpick/skewer/cake tester comes out with just a few moist crumbs attached, about 30 minutes. It could be a bit longer or shorter, depending on your oven. You’ll want to rotate your pan(s) halfway through your baking time. Allow cupcakes to cool in the pan for about 30 minutes, and then remove them from the pan to cool on a rack completely. Frost, and serve! Uneaten cupcakes should be stored in the fridge once frosted. In your stand mixer, fitted with the whisk attachment, beat the cream cheese, mascarpone, butter, sour cream, vanilla, and salt together at medium-high speed until smooth, about 4 minutes. Reduce mixer speed to low, and add the confectioners’ sugar. Beat until smooth at medium-low speed. Increase mixer speed to medium-high, and beat for 5 minutes. Frosting should be light and fluffy. Frost your cupcakes once they have cooled completely! If at any point your frosting gets too soft to work with, stick it in the fridge for a bit until it firms up a little.